We named our selves after the city we’re founded from as a mark of quality. After all, Manchester is a city famous for music, industry and science. Why not murder mysteries? It therefore seemed natural that we’d want to share our great corporate events and private parties in a city with just as much creativity and character. Let’s take a look at what makes Liverpool famous. Liverpool is a city famous for connecting with the wider world. It’s the site of the world’s first commercial wet dock which led to Liverpool to being a major port city during the Industrial Revolution. The dock’s creation shows the cities drive for innovation, as it featured the first enclosed, non-combustible dock warehouse system. Another world first was the warehouse’s use of hydraulic hoists installed on site. Liverpool was also home to the Titanic’s managing company, the White Star Line, which had its head office in James Street. 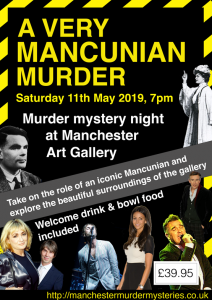 A murder mystery is great for connecting people in a way that is structured and enjoyable. 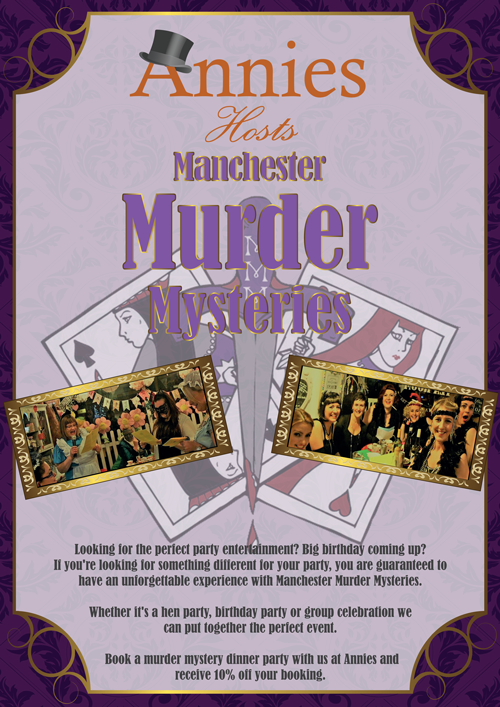 Click here to take a look at our murder mystery team building events and corporate entertainment in Liverpool. As a major trading hub, Liverpool docks drew in huge numbers of people from China and Africa. Liverpool is subsequently home to Europe’s oldest Chinese community and the UK’s longest established African community. Even if people weren’t staying, Liverpool was a conduit for travelers in search of a new life. Many people came from Ireland and passed through during the early 1800s on their way to North America. Liverpool hen party and birthday party goers may have travelled from across the country to meet for the special day. Our murder mystery dinner parties are great for bringing people together for something fun and memorable. Just a stone’s throw from Albert Dock lies a different hub of life and new beginnings. The Baltic Triangle houses digital agencies, architects, film-makers, artists and young entrepreneurs all livinge under one roof to form the centre of city’s growing innovative and creative community. And with the recent launch of the new ‘Fabric District’ centred around the Tapestry Building the force for art, creativity and connection within Liverpool is strong. Innovation and creativity lies at the core of our murder mystery themes and activities. Our fresh and modern scripts are exclusive to our small company and those who wish to share in them. Liverpool is steadily being referred to as the UK’s Northern Hollywood as it’s the most filmed British city outside London. 2018 saw the largest number of films and television series filmed in Liverpool to date, numbering close to 300 productions. One of the best known set in Liverpool is 51st State, but more recently hit show Peaky Blinders filmed some of its most exciting scenes in Liverpool. Other notable works include Nowhere Boy, Sherlock Holmes and Fantastic Beasts. We don’t use actors in our murder mysteries; we want our guests to be the stars of the show. Everyone has their own special part to play in our team building events, hen parties and birthday events. 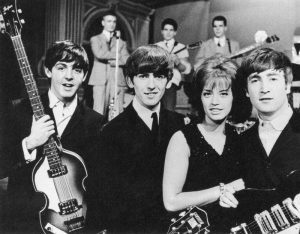 The Guinness World Records bestowed the title of Pop Capital of the UK upon Liverpool for having the most number one hit music artists of any other town or city. This honour was earned by the likes of The Beatles and many more great bands from Liverpool, including Echo & the Bunnymen, Frankie Goes to Hollywood, The Coral, Space and Ladytron. We’ve got a great 80s/90s murder mystery involving a few of these musicians! 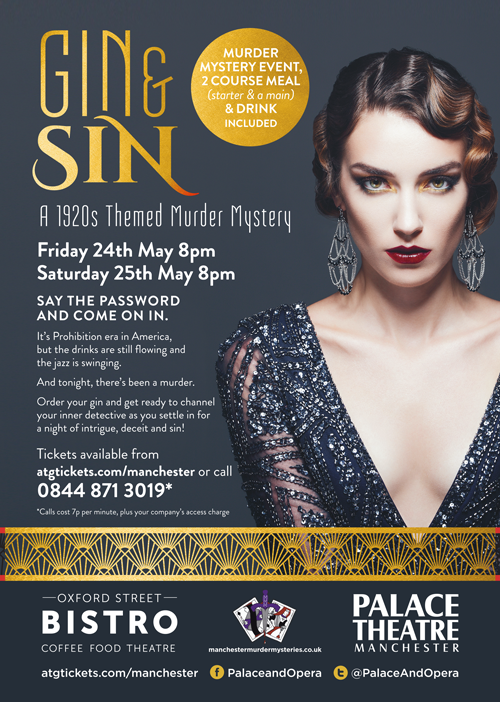 We also have 1920s Gin and Sin, Clue Done It, Malice in Wonderland, and many more unique murder mystery themes. If you’re looking for the best hen party night, the perfect birthday dinner or a well deserved team night out, we can help you with that. 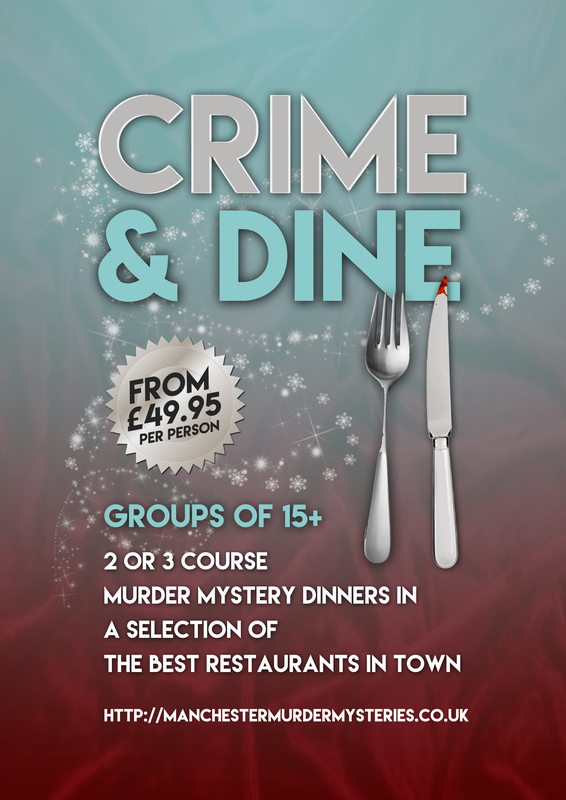 Click here to find out more about our Liverpool murder mystery events.